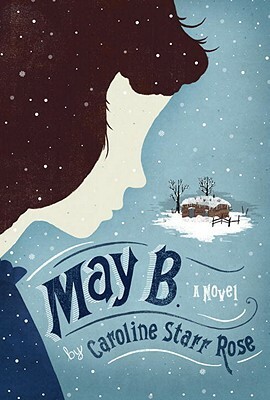 So who has already read MAY B. by bloggy friend Caroline Starr Rose? 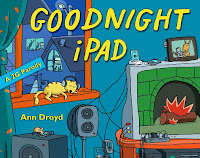 I read it last week, and I loved it! May is helping out on a neighbor's Kansas prairie homestead--just until Christmas, says Pa. She wants to contribute, but it's hard to be separated from her family by fifteen long, unfamiliar miles. Then the unthinkable happens: May is abandoned. Trapped in a tiny snow-covered sod house, isolated from family and neighbors, May must prepare for the oncoming winter. While fighting to survive, May's memories of her struggles with reading at school come back to haunt her. But she's determined to find her way home again. Caroline Starr Rose's fast-paced novel, written in beautiful and riveting verse, gives readers a strong new heroine to love. The protagonist is a great example of a sympathetic, courageous character. I really enjoyed reading May's story. I'm so happy for Caroline, and I look forward to her next book! The SCBWI Winter Conference is under way in New York City, the land of delicious street vendor hot dogs. And oh, yeah--the heart of publishing. Rather than ramble about how much I love New York or post a picture of myself hugging a HarperCollins pillar (which some might mistakenly think screams immaturity since we all know how sophisticated I am), I'll just wish bucket loads of learning and inspiration to those who are attending this year's conference. 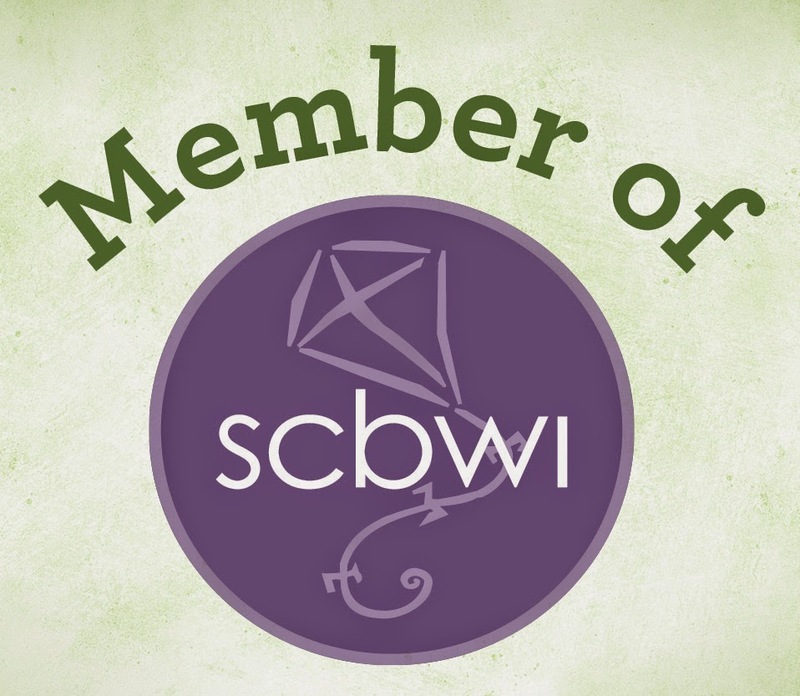 Luckily, the rest of us can follow the events at the official SCBWI conference blog. How is everything in your corner of the blogosphere? Did all of you see Nathan Bransford's 2011 e-book poll last November? Since 2007, he's been taking informal polls on where his readers stand regarding e-books. While he has a disclaimer stating it isn't scientific and it's for entertainment purposes only, I still find it super interesting. Check it out and peek at the bar graphs for each year. I've voted multiple years, and not always the same way. It took me a while to get excited about e-readers, but eventually I wanted one. My family gave me a Nook, and I love it. Love it, love it, love it! That said, I see a negative side to all this technology at our fingertips. Now that I can check e-mail from my phone, I find I do it even when I'm not expecting anything important. I can, therefore I do. I remember fondly the days when kids drew posters for reports instead of doing PowerPoint presentations. That said, I want my kids up on the latest and greatest technologies for work and play. I want them to stay comfortable and confident in today's world as well as tomorrow's. But I also see missed opportunities where imagination could have been exercised, small motor skills could have been practiced, and human interaction could have been experienced. 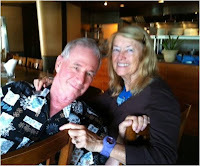 While I embrace the e-book, my laptop, the Internet (Blogging! Book research! E-mail! So much great stuff! ), and the Starbucks locator on my cell, I sometimes wonder if today's kids are getting the raw end of the deal. I wonder what we're doing to our attention spans, our inner quiet, and sometimes even our creativity. Are we moving forward or backward? 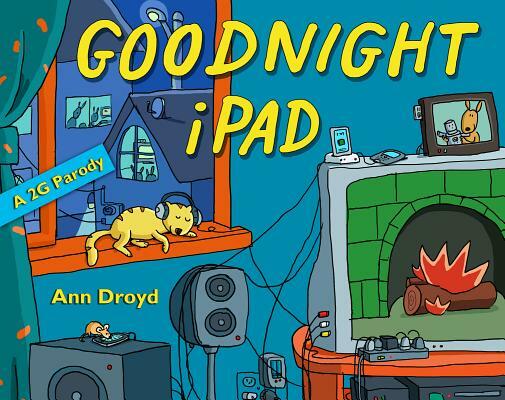 Ann Droyd's GOODNIGHT IPAD: A PARODY FOR THE NEXT GENERATION is pretty dang clever. Have you read it? I won't be posting next weekend because my family has tons of stuff on the calendar, but I'll be back the following weekend. Happy writing to all of you! Happy New Year, bloggy friends! Is everyone's 2012 off to a good start? I hope so! 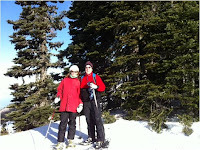 At the very end of 2011, I went snowshoeing with my family, and--WHAM! A new book idea hit me! I'm thrilled to have a new love again! Right after I thought of my "novel novel" idea, I could feel two or three of the characters and the voice. That's when I know I'm on the right path, that I'm focusing on the right story. You know how it is when lines of dialogue and story pieces start materializing, and you can't wait to get the ideas and words on paper? It's that story crush period when the beauty of the idea is so bright and it's all so new that you can't yet see the imperfections and plot holes. You know they're there, though, because nothing is perfect--yet the love of the story will make you stick around and work things out. I think we have chemistry with certain stories. If we're writers, the chemistry will help us find our voices and ignite us with a passion to get the words on the page. I'm not saying it's easy; it's work. But something makes that story alive in us. In the same vein, while agents and editors sort through oodles of submissions, only certain manuscripts have a special spark and make them fall in love. The same goes for all of us as readers. One person might love a story while that same story falls flat for someone else. It's like chemistry in relationships: just because he's cute and your best friend thinks he's right for you, it totally doesn' t mean he's zing-worthy. Oh! Now I feel like sharing a video featuring the mad scientist Dr. Doofenshmirtz of Phineas and Ferb, a super clever TV show I adore. Click here if you'd like to watch it. The clip shows villains in love, singing and dancing--evil people with their own weird chemistry. Much different from Dr. Doofenshmirtz and his gal, here's a pic of my dad and mom, two amazing people with kind hearts and beautiful chemistry! I guess in love and manuscripts, the right chemistry is required.